Three Vietnamese cities have been listed among top 25 destinations in Asia by TripAdvisor – the world’s largest tourism website. TripAdvisor has placed Ha Noi number two in their best of Asia list, beaten only by Beijing of China, while Ho Chi Minh City and ancient Hoi An city ranked 9th and 14th, respectively. 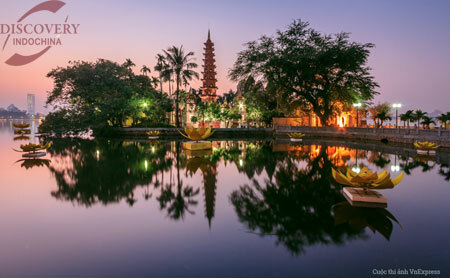 Apart from its long and rich history, Ha Noi is described as a must-see destination thanks to the city’s ancient architecture, rapid development and relic sites, such as Hoa Lo prison and Ho Chi Minh mausoleum. Top five cities receiving TripAdvisor’s Asian Destination Awards 2014 included Beijing (China), Ha Noi (Viet Nam), Siem Reap (Cambodia), Shanghai (China), and Bangkok and Chiang Mai (Thailand).